Now that Amazon has picked its HQ2 winners, it's time for Seattle and America to take stock of the biggest economic competition in memory. 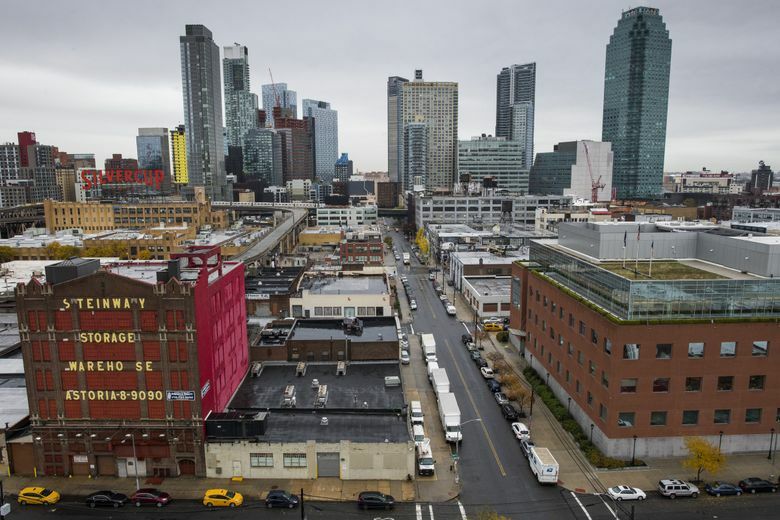 Last week, Amazon unveiled its two new “homes,” in the Crystal City area of Arlington, Virginia, and Long Island City in the Gotham borough of Queens. This at least marks the end of the HQ2 mania set in motion in September 2017. The Seattle technology giant dangled 50,000 high-paid jobs and billions in investment — the biggest economic-development prize in memory. Nearly 220 localities submitted proposals. Twenty finalists were selected. Now, with two sites instead of one, it’s seemingly done — although I wonder even about that considering the secrecy of the selection process and growing controversy about the massive incentives offered. This is, however, perhaps the end of the beginning. That’s the story arc that takes Amazon from an online bookstore, survivor of the dot-com-bust, to a member of Big Tech’s royalty. It made founder and CEO Jeff Bezos the world’s richest person. Amazon grew so fast, into so many areas of the economy. That it happened here is at least partly a tribute to the decades of civic stewardship — and good luck — making Seattle a magnet for talent and capital. Amazon remade Seattle, yes. But Seattle remade Amazon, too. Perhaps it’s true that Amazon broke HQ2 in half to gain the best technology expertise and locations that could handle steady future growth. But these are likely only part of the attraction. The federal government is a major Amazon customer, especially the Defense Department, which is speeding to cloud-based computing. More than Bezos’ ownership of The Washington Post, the government connection explains the need to have boots on the ground in Crystal City. New York City offers the entertainment industry for Amazon Studios, the capital of finance should Amazon want to get into banking or schmooze Wall Street up close, and a planetary economic powerhouse. Only New York and London hold the top Alpha-plus-plus ranking of the Globalization and World Cities Research Network. Washington, D.C., is Alpha-minus and Seattle is Beta-minus. The research group assesses strengths of major urban centers and how well they are connected to the world economy and globalization. This is another “tell” for the story ahead: Amazon wants more than proximity to important business sectors or talent or scalable location. It wants to be near power. Thus, the next chapters of the company’s history may be largely written in D.C. and New York, whatever the other HQ2 effects on Seattle (a hiring slowdown at the least). Footnote to Amazon: You’re entering the two media capitals of the nation, so prepare for a scrutiny never applied in Seattle. My colleagues and I did what we could, but there are only so many of us. Even Bezos’ excellent Washington Post has offered penetrating coverage. I welcome the additions to the press corps. Sunlight makes for a brighter smile. At the end of the beginning, Amazon will be less obliged by the Seattle ethic of giving back that was so exemplified by the late Paul Allen. Its efforts have been minimal, especially given its size. Now the company has the excuse to say it has two other headquarters mouths to feed. I hope I’m wrong. At the end of the beginning, how much did incentives matter? Not much, I suspect. Amazon said they were “one factor.” New Jersey and Maryland offered billions more — and proximity to the target cities — yet they lost out. Of course, Amazon will pocket more than $2 billion in tax incentives from New York and Virginia. This is a company initially built on tax avoidance and dependent on the internet, whose creation was made possible by federal taxpayers. It’s a funny world. The end of the beginning would be a good time to remind everyone of how inefficient and even destructive economic incentives can be. They pick winners, paid for by everyone else who doesn’t get a tax break, and often don’t pencil out in promised benefits. They contribute to lack of funding for education and infrastructure (items on the HQ2 wish list.). For every Boeing or HQ2 there are hundreds of small projects with few jobs. Yet corporate welfare and pitting states and cities against each other won’t stop, short of a federal law. And that law would have to get past a very pro-business Supreme Court. In the meantime, governors and mayors will dance to the tune (it’s easier to be brave San Antonio and say “no” when your economy is propped up by large military installations). Corporate welfare should still be a political issue. At the end of the beginning, we have an opportunity to examine what it all meant. Amazon was able to gather valuable information about the capacities of localities around the country. This intelligence will help guide the location of everything from warehouses to research operations. Those places were given the opportunity to assess their economies. While there’s truth to Richard Florida’s critique of “winner take all urbanism,” where a few superstar cities are pulling away from the rest, many of the also-rans made their own beds. They underfunded education, failed to address racial inequality, stuck with obsolete industries and sprawl. Superstar cities have always been with us, all the way back to Babylon and beyond. At the end of the beginning, Seattle should do fine. It continues to punch well above its weight with a diversified, high-quality economy. For tech workers, Seattle still enjoys a cost advantage, not just over the Bay Area but also New York and D.C. The unpopularity and repeal of the proposed jobs tax, which would have affected nearly 600 companies here to fund a failed social-services approach, is a sign that pragmatism is possible. But take nothing for granted. As I’ve often written in this space, every place wants what we have. In the HQ2 competition, 238 places showed how bad they do. So what’s to say that the selection of the two new “headquarters” is the end, even of that chapter? Because things happen outside the comforting certainty of algorithms and Bezos’ brain. Downturns. Depressions. Technological leaps. Cultural shifts. Political instability. A government-forced breakup of Amazon. All I’m reasonably sure of is that we’ve reached the end of the beginning.